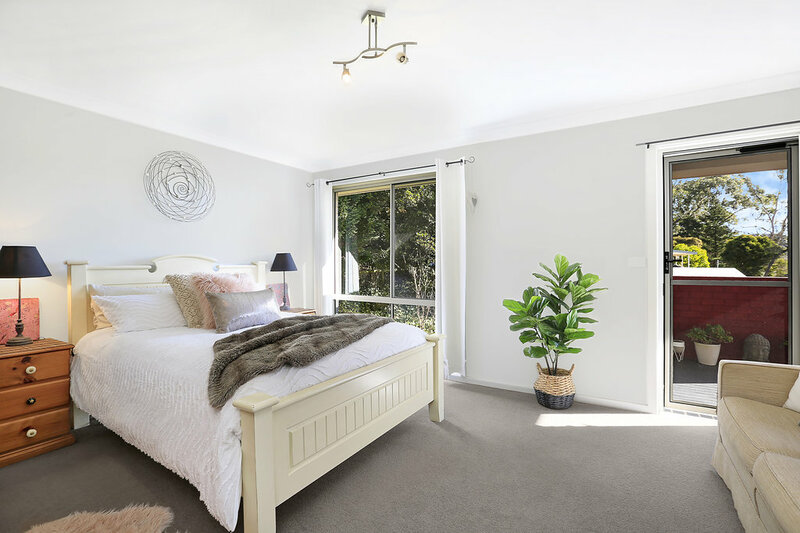 Looking for a home with huge bedrooms - well look no further...........6a Huxley Street Mittagong is it four truly large bedrooms - check the floor-plan! Another highlight to this property is the massive garage fits four cars - possible your motor home! Capture the view with upstairs living! With smart design principles, clever building ideas. Looking for a home that is unique with a little quirk, do you have teenagers this could be perfect with the home being so spacious? 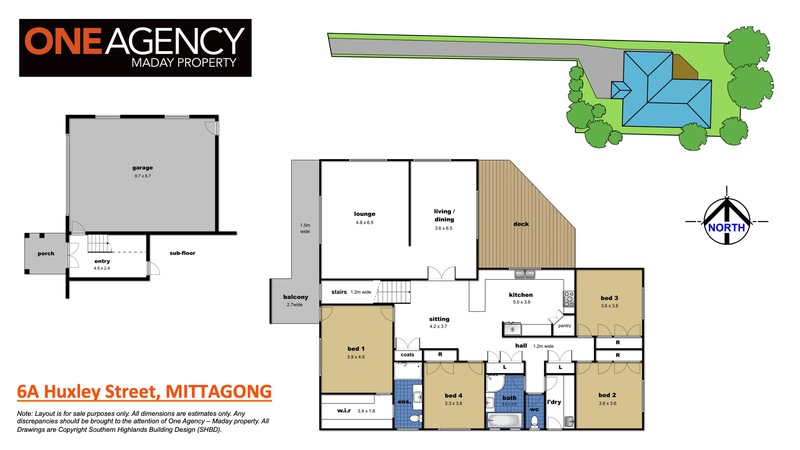 Come and see the integrated modern living and stylish design with our double reverse living floor plan. 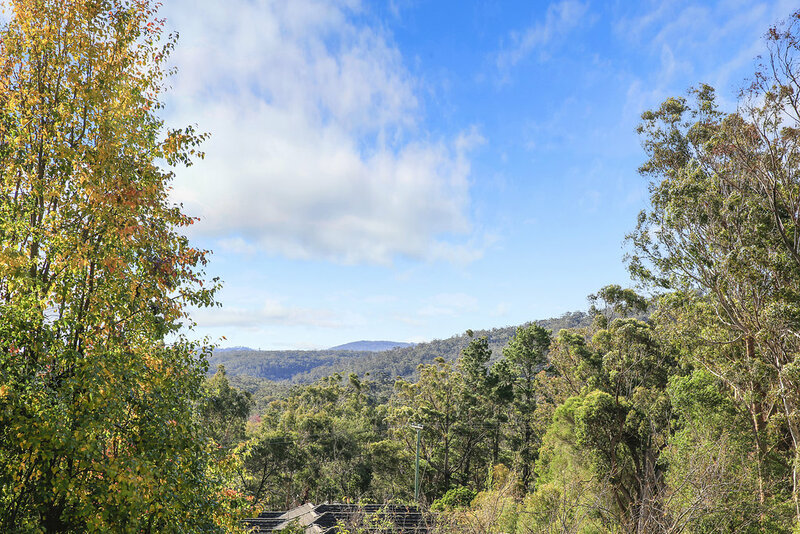 The home is located on beautiful Mount Gibraltar sitting on 976sqm which does include the long and level driveway. • Along a driveway to a privately positioned residence with expansive views, a spacious home plus an enticing front façade. • Inviting exterior covered entrance, entry area with a study nook neatly under the staircase, plus ample storage under house. • Light filled, airy with windows to the north, glass doors on western side to allow breeze in the sizable lounge/living room flows to front verandah. 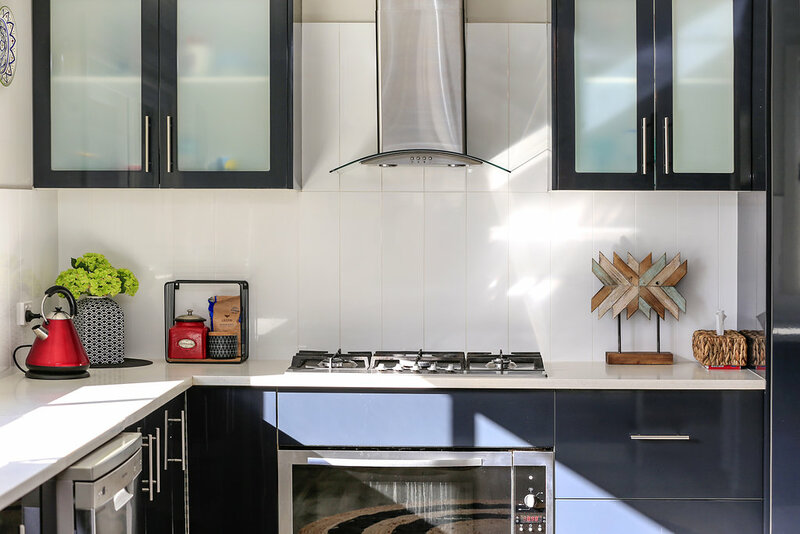 • Modern kitchen - Caesar-stone benches, views to Mount Alexandra. All appliances - wide electric oven, five gas burner cook-top, plus exhaust. 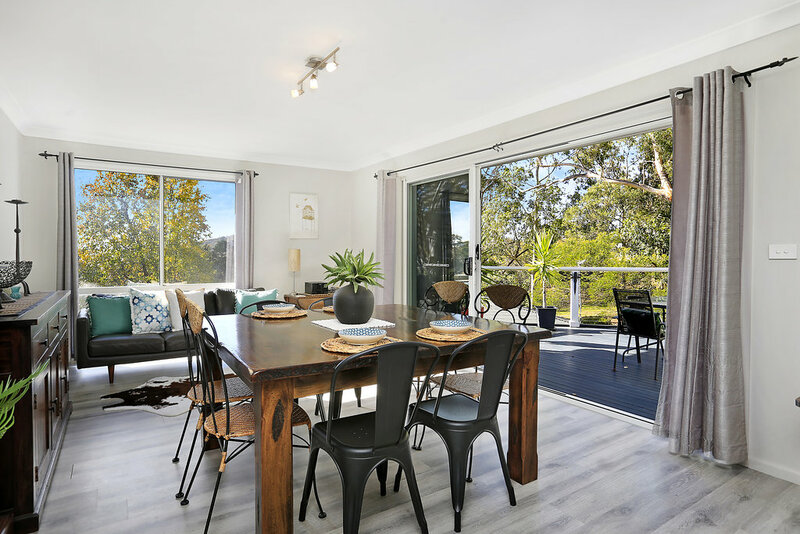 • Three flexible living spaces - open plan casual, living room, dining room, sliding doors opens onto a private and protected north facing deck with views. 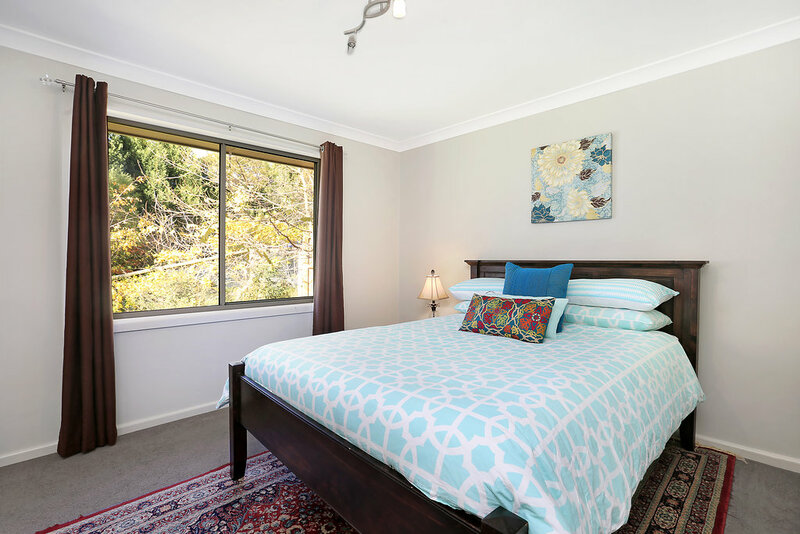 • Master suite, with your very own alfresco covered deck, the deck is covered and private - perfect to sit and read a good book plus walk-in-robe and ensuite . 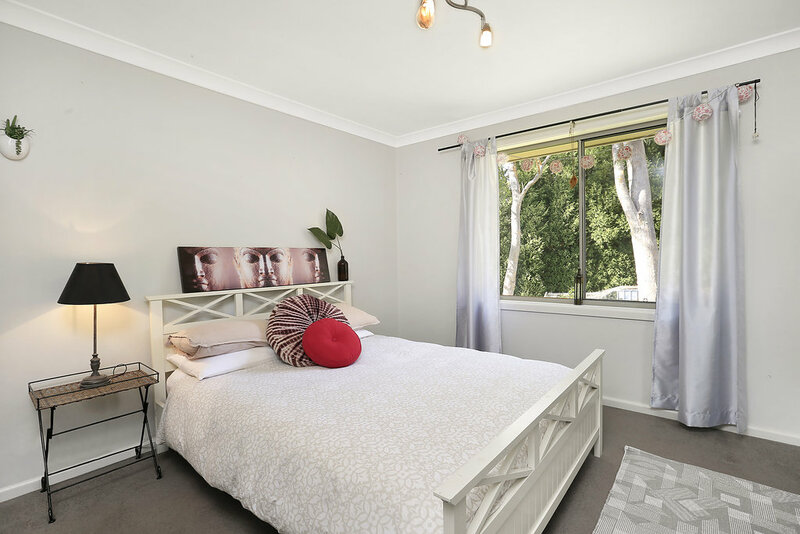 • Three additional bedrooms are really, really large in size, all with built in robing, plenty of room to fit King Size Bedroom suites, two with garden outlook. 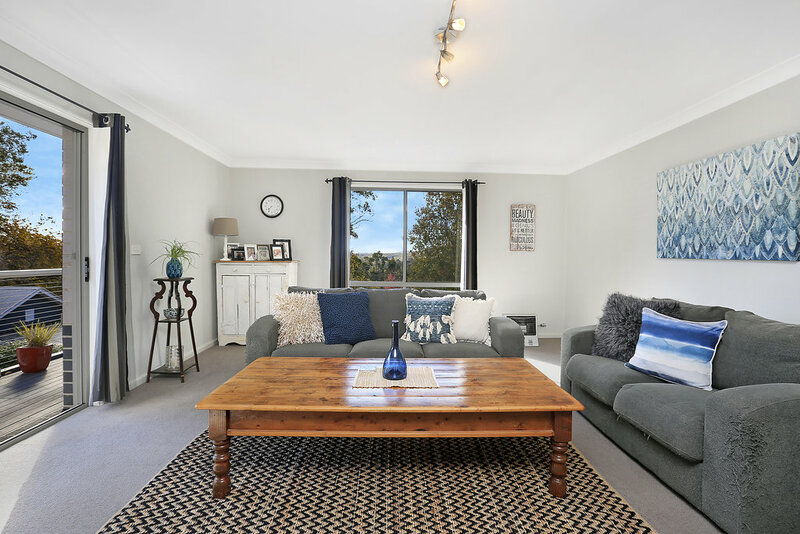 • This lovely home enjoys the winter months with reverse living, heat rises all the living is upstairs so be warmed with gas heating, to curl up as the winter approaches. 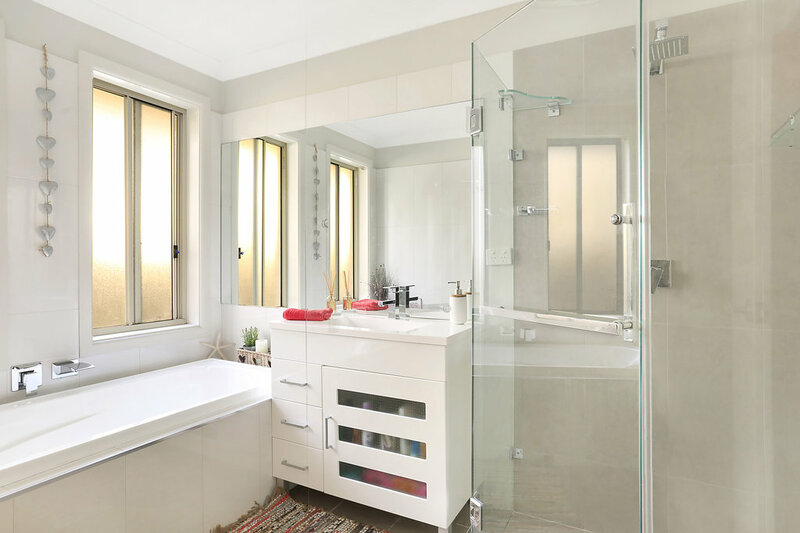 • Well-proportioned bathroom including shower, vanity and luxourious bath tub for those special nights you want to relax and unwind plus a separate w.c.
• As mentioned previously the garage is huge being both wide and deep in size. Plenty of space for a caravan or motor home, huge amounts of storage or workshop space. • Hidden away is the lovely easy care backyard perfect to further create more gardens - capturing ample sun plus just perfect yard for the family pet. 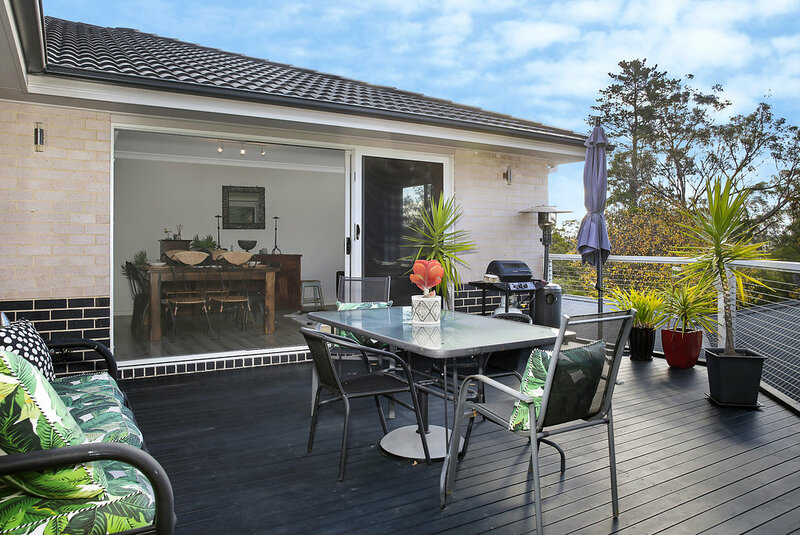 • Reverse living at its best - Enjoy views whilst, entertaining, cooking in the kitchen or just plain relaxing on the large deck. We look forward to welcoming you to the property.